Thank you for your interest in our adorable adoptable cats and kittens! 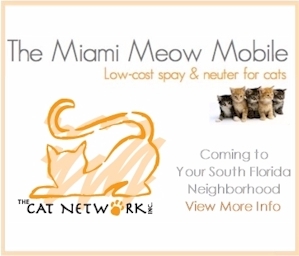 The Cat Network does not have a shelter; all our cats/kittens are in loving foster homes in South Florida. You can also visit some of our adoptable cats and kittens at PetSmart, PetCo and Pet Supermarket locations. View our calendar for show dates. Note: Adoption Fee For Purebred type cats with or without papers, ranges $75 to $250 and is determined by the foster parent. 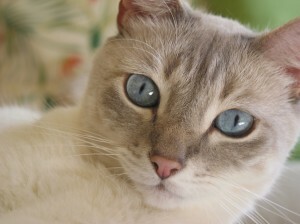 These cats are designated with “Higher adoption fee may apply” on their listing. If you would like to adopt one of the felines that you see listed, you can contact the foster parent directly to get more information on the cat, or by contacting The Cat Network at 305-255-3482. Once you have made contact, and you would like to adopt the cat, then you are required to fill out an Adoption Questionnaire. You can download an Adoption Questionnaire to send to the foster parent or directly to The Cat Network.